Sandpiper Cat Blog was started to talk about Rachel's foster cat Piper and her journey through her pregnancy. She lost her kittens, but Rachel nursed her back to health. Our blogging continues today! A cat blog that covers and reviews products, books & life stories. It was like I blinked and Jackson Galaxy's Cat Camp had gone by in a New York minute. Cat Camp took place May 5-6 at Penn Plaza Pavilion (in New York City, if that wasn't obvious from the pun in the first sentence). Cat Camp is an event for cat rescue advocates to gather, learn by attending informational sessions and panels, meet & greet cat celebrities and shop all things cat. A whole room was dedicated for adoptable cats. 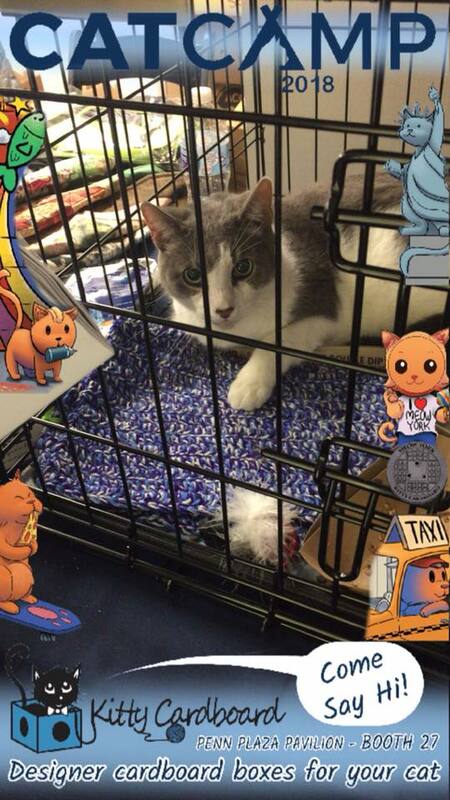 Cat Camp also had cats up for adoption from local NY rescues. Many of the cats that were available were seniors or special needs. The vendor selection was supurrrb. One of my favorite booths was Oh My Cat. I picked up one of her eyemasks, such sweet patterns! It's very soft and comfortable to wear to sleep. Stray Cat Social Club's debut at Cat Camp. 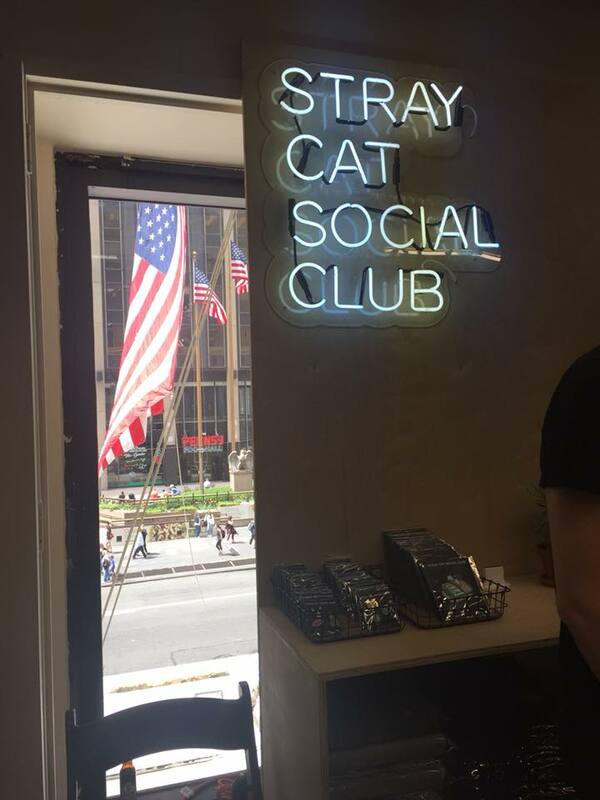 Stray Cat Social Club gave a sneak preview of their products, which were super cute. Trap-neuter-return (TNR) and feral care are their main focuses. They will be available in summer 2018 (so paws crossed that is soon!). It is always nice to be among like-minded people and see fellow cat lovers who you have met at past cat related events. My Cat Camp haul! 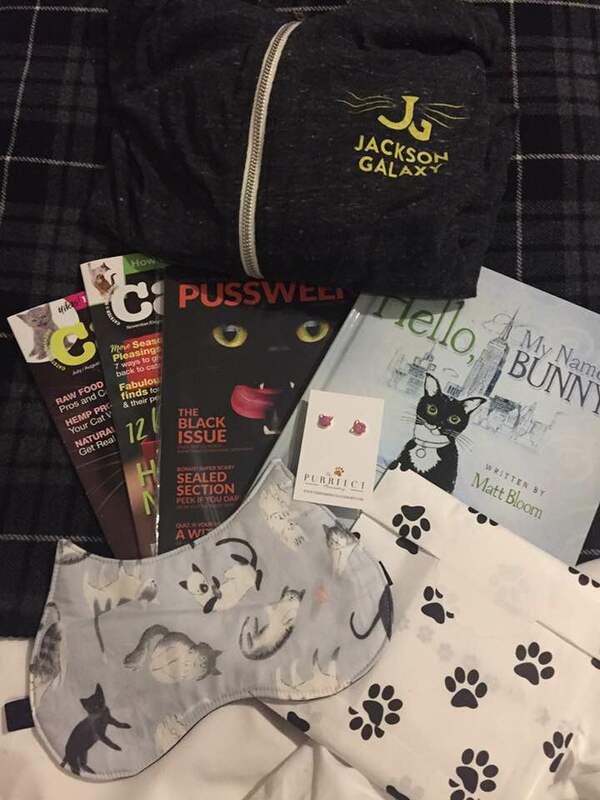 Jackson Galaxy cat nerd sweatshirt, magazines, a book, eyemask, and earrings from The Purrfect Accessory. I heard that Cat Camp was bigger this year than last year, so hopefully 2019 will be bigger and better! It was fun to get to visit New York City and see all of the sights. Were you at Cat Camp? Will you go next year? Caturday in Catsbury Park by the sea. Greetings from Asbury Park. Let's go to the Cat Convention! 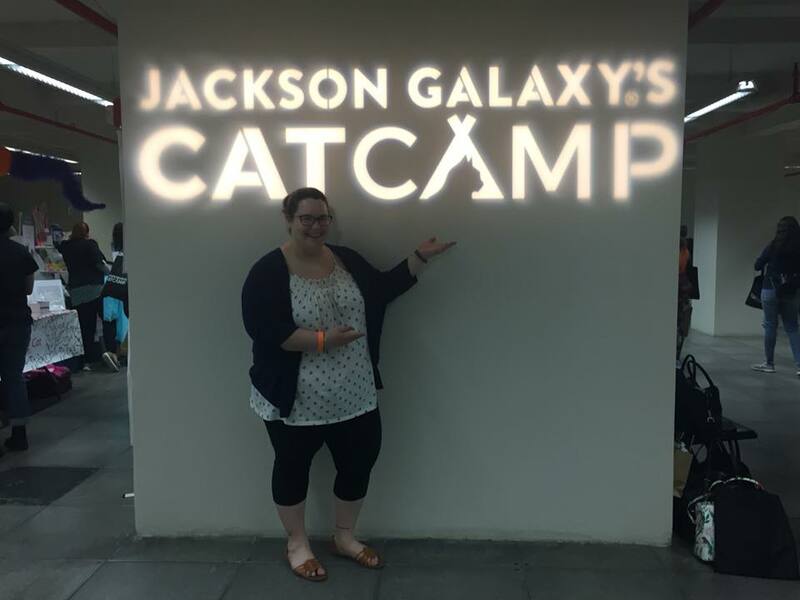 I spent this past weekend in a large convention hall surrounded by fellow cat lovers, looking at cat products and discussing rescue & advocacy. The turn out was about 5,000 people! That is Catsbury Park Cat Convention wrapped up in a nutshell. 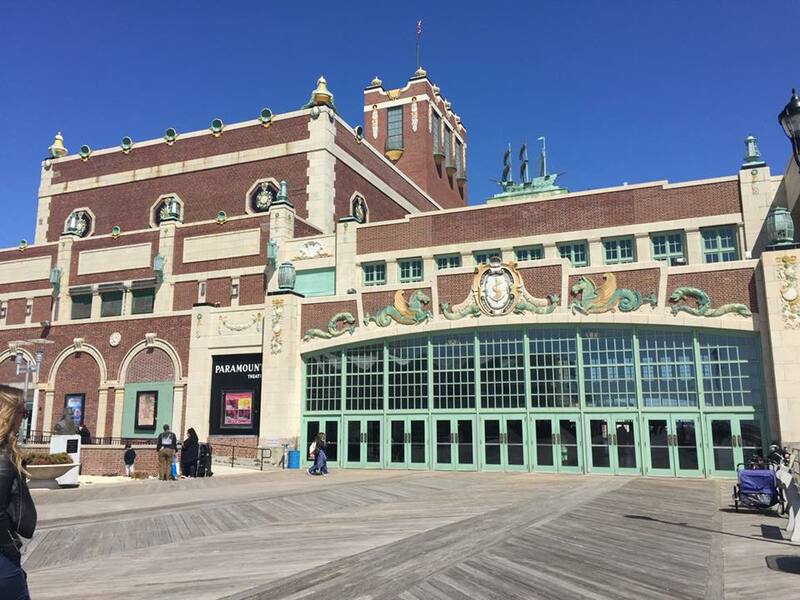 The Asbury Park Convention Hall. Built in 1928-1930. 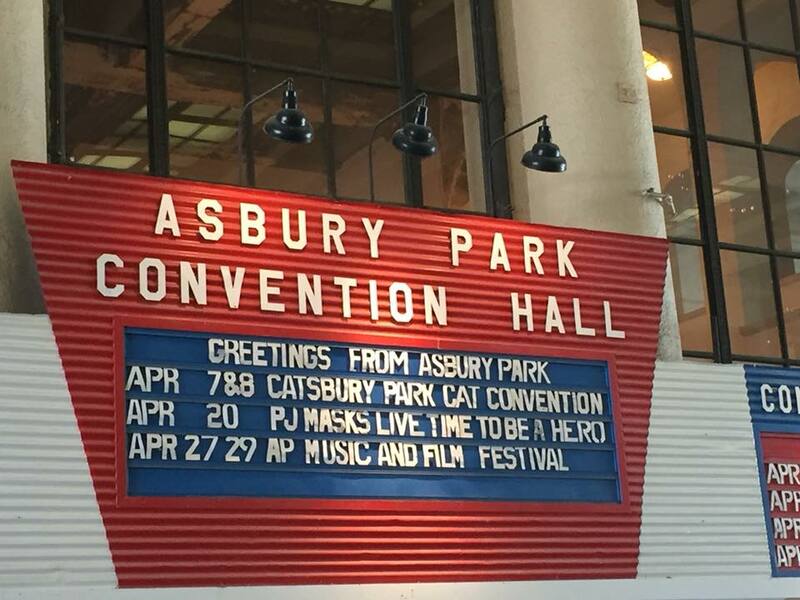 The first (of hopefully many) Catsbury Park Cat Convention was held at the Convention Hall in Asbury Park, New Jersey on April 7 and 8. The event was in conjunction with Catsbury Park Cat Cafe, which is New Jersey's first full service cat cafe. Catsbury Cafe is a 501(c)3 non-profit and some of the proceeds from CPCC will go to their wonderful organization. Visitors can pay a fee to spend time in Catsbury Cafe and hang with their resident cats that are up for adotpion. The cafe also serves a variety of coffees, teas and baked goods. The Convention had dozens of vendors selling their goods. It wasn't just cat related merchandise and apparel available. There was a plethora of vegan food options, a hair cutting booth and yes, even a booth for tattoos. 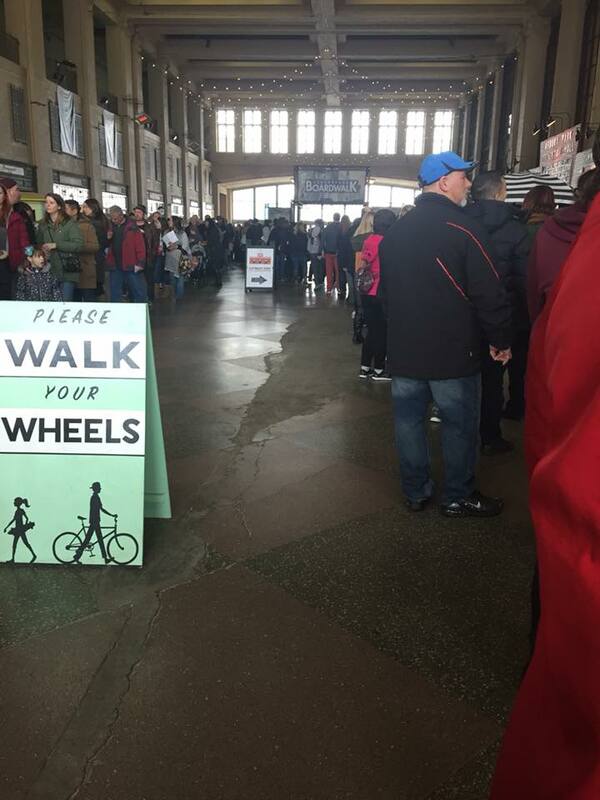 The line to get in was worth the wait. Plus the building is beautiful to look at inside. There were also special meet and greet packages to meet pet celebrities like Lil' Bub, Nala, Pudge and humans, like The Kitten Lady. There were also cats up for adoption from the local Monmouth County animal shelter. Doors opened at 11 a.m. both days. On Saturday I arrived about 11:20 and had to wait 20-25 minutes to get in the door. Sunday I waltzed right inside. It's always expected that there are going to be a lot of people for these events, a telltale sign that the conference was probably more popular than expected! 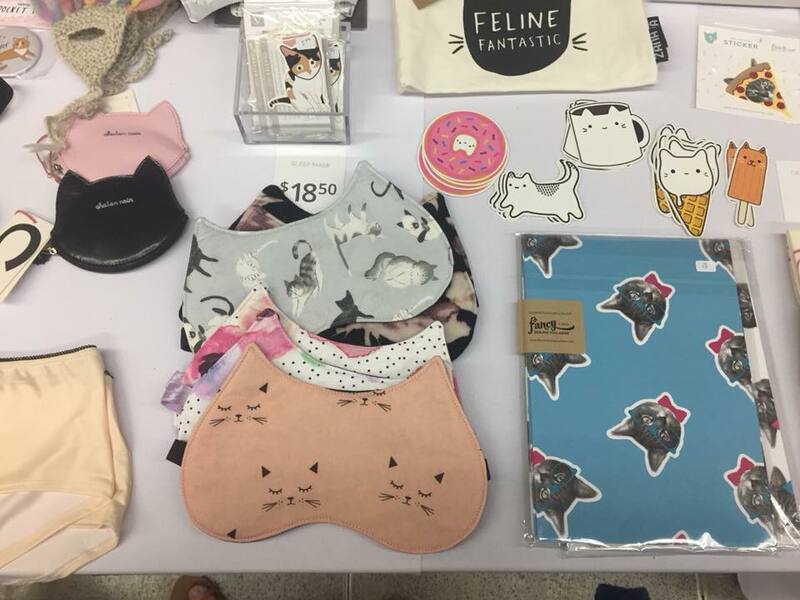 I was immediatey ready to start shopping for cat related items when I walked in and I was not disappointed by the vendor selection - there was something for everyone. I even picked out a few gifts for friends and family. 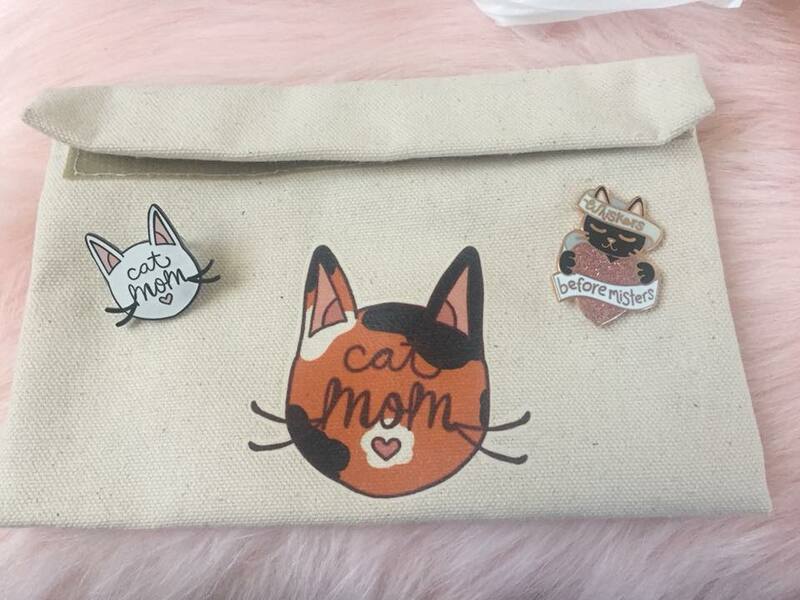 Cat pins & whatever pouch from The Floral Martian. 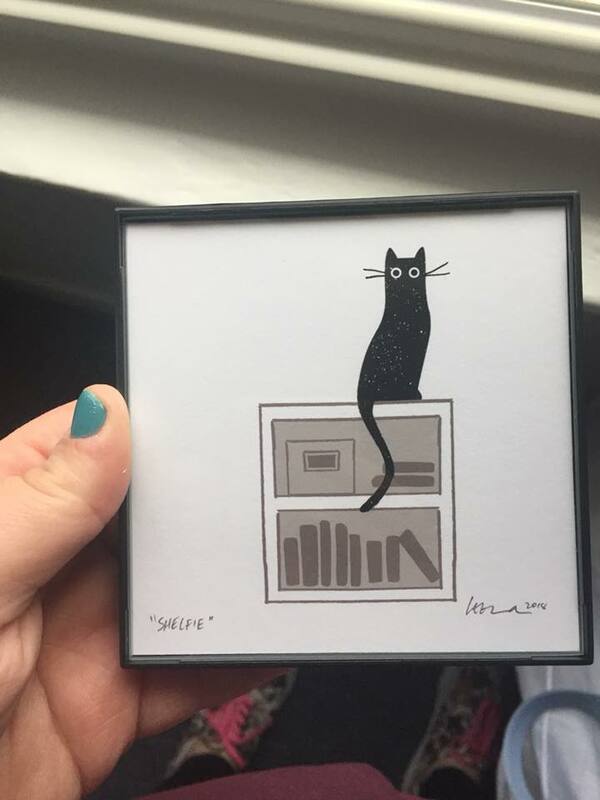 Shelfie print by Leeza Hernandez. By far the mostpopular booth had to be Neptune Tattooville, which had special cattoos (cat tattoos) available first come first served. By noon, their waiting list was already filled for a few hours and they recommended for people to stop by their tattoo shop, about 15 minutes away. I had actually been planning to get a tattoo and had thought about it for a month, so I did not want to miss the opportunity. Despite the fact that it would have been fun to get it at the convention, I ended up being very happy with my tattoo shop experience. 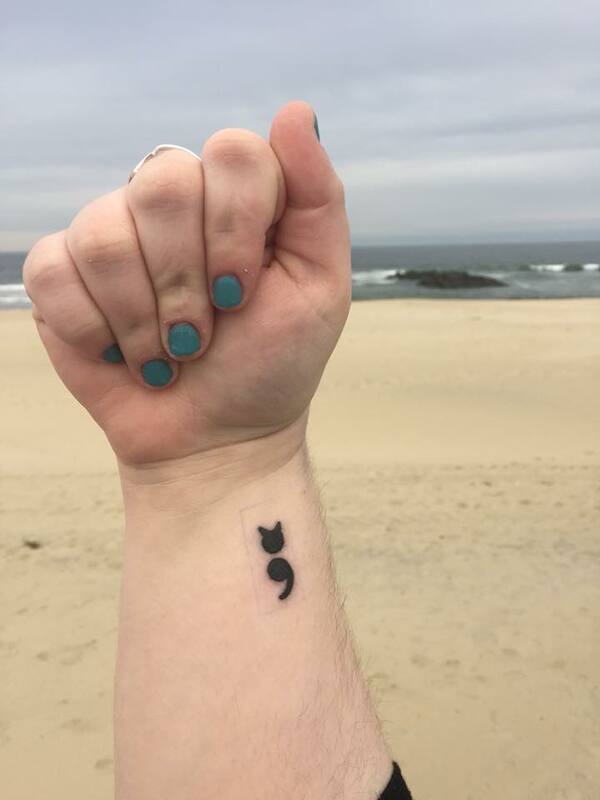 I chose to incorporate project semicolon, by getting a semi colon cat head tattoo. A simple tattoo and there were other girls in the shop who had come from CPCC. The one on one setting with a tattooer is definitely preferable to overlookers at a conference. My tattoo was done by Zack Bryson. I had never been to Asbury Park before and I am coming home with some fun cat goodies and a very exciting new tattoo. I drove two hours from Cape May to Asbury Park and it was a nice weekend getaway. The convention was well done and worth every minute that I got to spend there. I was very impressed and I will definitely attend their next convention. Check back later this week for my post about the time I spent at Catsbury Park Cafe!